A wearable glove that allows you to "speak" out loud using sign language; a service that mixes beautiful graphics with state-of-the-art interactive tech; community projects uniting people of all ages and backgrounds; robots; 3D printers; schoolchildren; policymakers; citizens -- these are just a selection of the groups brought together for the MakersTown event. 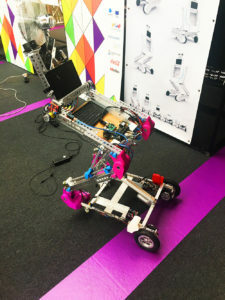 Hosted by ThinkYoung, the Wilfried Martens Centre, Intel and Google, the event was held on June 20th at Autoworld, Brussels. 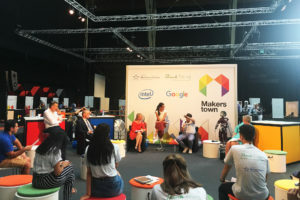 More than 1000 attendees battled the June heat to learn more about the future of Making in Europe, enjoying booths from 50 businesses and organisations, panel sessions with policymakers and industry experts, and workshops for schoolchildren. Find out more about what our community is working on by checking out the short video introductions they gave below!